DIN, ASTM, BS Washers, Stainless Steel spring washer, Duplex & Super Duplex Steel lock washer, Alloy Steel spherical washer, Washer Manufacturer & Stockist in India. Asiad Steels is one of the known distributors of SS Washers, which gives a number of excellent attributes to our clients like temperature resistance, steady at soaring pressures, etc. Applications of Monel Flat Washers comprise railroad, agricultural, truck and heavy machinery, mining, automotive industries. We provide the same in dissimilar grades like Inconel Washers, Stainless Steel 310s & 310H Washers, Stainless Steel 316 / 316H / 316L / 316Ti Washers, Hastelloy Washers, Titanium Washers. 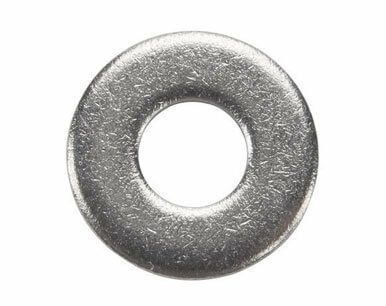 Our offered Stainless Steel Punched Washers is factory-made from the higher quality of material and prominent practices under the direction of our experts. 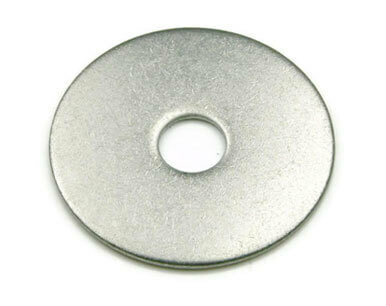 These Nickel Machined Washers are made-up by using the best quality of the metals that are being made from the known specialists of the industry. Besides this, the presented Alloy 20 Round Washers is mass-produced under the management of skillful experts, so that we can make assure to give comprehensive perfection over the presented product. We have state-of-the-art and sophisticated manufacturing services for making nothing but the finest quality of Aluminium Square Washers. The race between the manufacturers of these products, to offer cost-effective Silicon Bronze Spring Washers by means of the best quality, has been shaped a great deal of strain in the industry that has ultimately assisted the demanders to receive genuine soaring quality of fasteners. 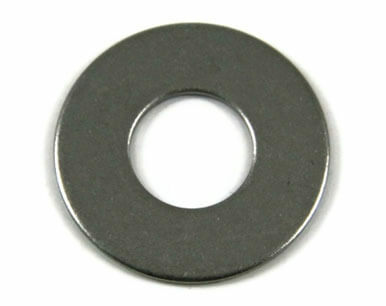 We provide a widespread range of these Duplex Steel Lock Washers that is obtainable in different dimensions and sizes. Buy SS Washers in market leading price from us. Nickel Alloy flat washer, Titanium Gr.2 punched washer, Hastelloy B3 machined washer, Washer, round washer, square washer Supplier & Exporter in Mumbai, India. We are Exporter of Washers in Worldwide Such as India, Namibia, Chile, Nigeria, Ecuador, United Arab Emirates, Colombia, Hong Kong, Bulgaria, New Zealand, Trinidad & Tobago,Tunisia, Thailand, Canada, Spain, Egypt, Zimbabwe, Kenya, Mexico, Costa Rica, China, Norway, Venezuela, Malaysia, Turkey, Puerto Rico, Saudi Arabia, Estonia, Macau, Ireland, Austria, Nigeria, Ukraine, Belgium, Japan, Serbia, Morocco, Czech Republic, Qatar, Indonesia, Libya, Azerbaijan, United States, Belarus, Bhutan, Bolivia, Germany, Gambia, Lithuania, Peru, Gabon, India, Yemen, Bangladesh, Slovakia, Switzerland, Australia, Mongolia, Russia, Ghana, Denmark, Iran, Romania, Portugal, Italy, Sri Lanka, Kazakhstan, Poland, Algeria, United Kingdom, South Korea, Iraq, Lebanon, Israel, Pakistan, Croatia, Tibet, Afghanistan, Angola, Kuwait, Philippines, South Africa, Finland, Taiwan, Bahrain, Oman, Brazil, Nepal, Vietnam, France, Hungary, Greece, Jordan, Poland, Iran, Sweden, Mexico, Argentina, Chile, Netherlands, Singapore. We are Suppliers of Washer in India Such as Mumbai, Gimhae-si, Jakarta, Petaling Jaya, Kuwait City, Pune, Dammam, Ulsan, Riyadh, Ahmedabad, Algiers, Dallas, Nashik, Kuala Lumpur, Madrid, Mexico City, Manama, Jaipur, Doha, Santiago, Thiruvananthapuram, Thane, Ernakulam, New York, Calgary, Brisbane, Sharjah, Howrah, Melbourne, Geoje-si, Indore, Jeddah, New Delhi, Hanoi, Kolkata, Ludhiana, Rajkot, Port-of-Spain, London, Los Angeles, Perth, Al Jubail, Mumbai, Chennai, Moscow, Cairo, Milan, La Victoria, Ankara, Seoul, Jamshedpur, Haryana, Navi Mumbai, Al Khobar, Tehran, Muscat, Houston, Baroda, Chandigarh, Caracas, Singapore, Coimbatore, Gurgaon, Toronto, Vung Tau, Rio de Janeiro, Vadodara, Istanbul, Hyderabad, Ranchi, Faridabad, Karachi, Atyrau, Noida, Surat, Chiyoda, Abu Dhabi, Ho Chi Minh City, Ahvaz, Bengaluru, Courbevoie, Dubai, Nagpur, Visakhapatnam, Granada, Busan, Bhopal, Hong Kong, Secunderabad, Lahore, Bogota, Aberdeen, Pimpri-Chinchwad, Colombo, Edmonton, Kanpur, Lagos, Sydney, Bangkok, Montreal.